This chicken and chorizo paella is a hearty sharing dish that's great to cook and serve in one dish, with only one cooking pan to wash up. 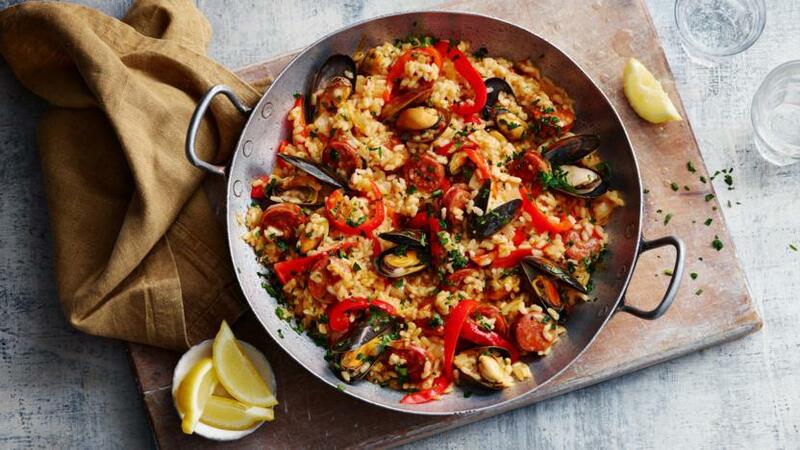 Using chorizo in your paella might not be the done thing everywhere, but if you like it, go with it! Try to use good-quality paprika as this will deliver the best flavour in the finished paella.